Wake is skillfully written from the outset, though the initial premise doesn’t feel especially groundbreaking: in post-WWI London, three ordinary women cope with their stagnant lives. Hettie partners single men at a Hammersmith dance hall to support her mother and shell-shocked brother, upper-class Evelyn works as a pension clerk while mourning her lover, and Ada can’t move past her soldier son’s death. Hope then proceeds to color in their personal histories, revealing the distinctiveness of each character and situation over five days, during the lead-up to the unveiling of the Unknown Warrior’s tomb in Westminster Abbey. As their circumstances change and new people enter their lives, the women are spurred to action. Likewise, as these characters’ stories and others’ are intermixed, readers will be flipping pages to discover their tragic connection. The background details are vivid, from a crowded West End jazz club to the trenches of northern France, both in 1920 and earlier. This increasingly riveting novel about war’s futility, grief, remembrance, and renewal is a solid effort timed just right for the WWI centenary. This review first appeared in Booklist's November 1st issue. 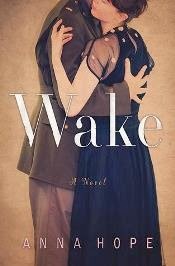 Wake was published in February by Random House (hardcover, $26, 284pp); Doubleday published it in the UK in January (hardcover, £12.99). Oh good - I hope you like it! 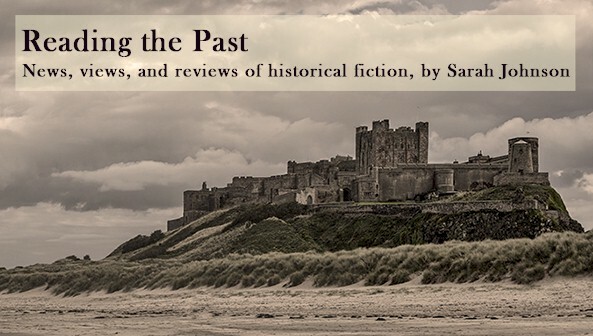 There are so many new WWI-era novels out now, but each of them that I've read has a slightly different perspective on the war and its aftermath. Well, I read the preview they allow online and was instantly hooked! I bought the it while out yesterday and I can't put it down, it's a lovely book! For those interested in the era, I'm just reading the newly released collection of Robert Frost's letters. He was in England before the war and came back during it. But the war permeates some of the letters. And he lost his soulmate in it. Fascinating, and thanks for the info - I wasn't familiar with the background to his personal life. I really enjoyed this! I read an e-copy, though, and I guess the ending was cut off in it... So, I keep meaning to get an actual copy so I can see how the book actually ended! You're not the first person to mention the ending! It isn't a mistake. The conclusion is the same in the actual copy, but an ellipsis (...) was added at the end so that it didn't appear to have been cut off mid-sentence.